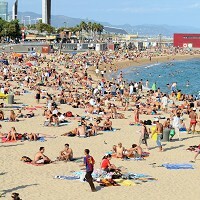 A travel organisation has launched a campaign to reach out to young people embarking upon foreign holidays this summer. Abta's Love Summer, Love Travel drive is aimed at 18 to 34-year-olds and offers holidaymakers advice and travel tips, with a dedicated Facebook page also on hand. After checking out the tips many young holidaymakers will be ready to book their summer break, however they should not do so without first arranging some travel insurance cover. The Facebook page - facebook.com/abtalovetravel - showcases the best holiday destinations alongside information about the places and dates for festivals and other events that may appeal to the younger market. The campaign comes after Abta's research showed that many holidaymakers in the under 25 age group booked their summer break with the help of a travel agent. Victoria Bacon, Abta head of communications, said: "Abta has very strong brand recognition among all consumer age groups. Research shows that they tend to associate us very strongly with values of trust, security and authority. "The aim of this campaign is to raise brand awareness of Abta's offer to consumers, highlight the huge variety of our membership and encourage people to look for the Abta logo when they book."